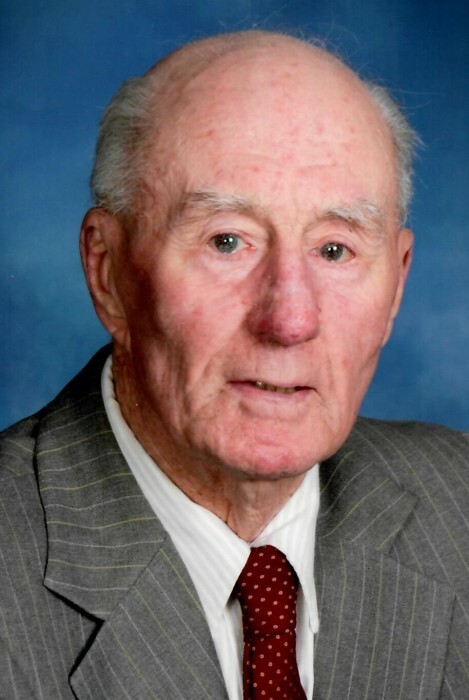 Norwich – Donald “Nippy” L. Ryan, 95, died at his home, in Norwich, on Sunday June 10, 2018. He was born in Norwich, Sept. 28, 1922 the son of Bernard and Madeline Fields Ryan. He lived in Norwich his entire life. Nippy was educated in the Norwich School System graduating from Norwich Free Academy. He was a communicant of Sts. Peter and Paul Church in Norwich and a member of the Holy Name Society of that Parish on May 24, 1947. He married Mary Twomey Ryan. She predeceased dying on March 28, 2004, after 56 years of marriage. He was first employed at Van Tassel Leather Company in Norwich where he became vice president in 1942. He was drafted into the military. He was assigned to the 100th air service squadron and served in the South Pacific until his discharge in 1946. Upon returning home he went to work for Consumer Interstate Corporation as a salesman for 25 years. He retired in 1986. Together with his wife Mary he enjoyed a large vegetable garden and boating for over 50 years. He was predeceased by a brother Bernard and is survived by many nieces and nephews. A calling hour will be 9:45 to 10:45 AM Thursday June 14, 2018 at the Cummings-Gagne Funeral Home 82 Cliff St Norwich. A Mass of Christian Burial will follow at 11 AM at Sts. Peter and Paul Church 181 Elizabeth St Norwich with burial to follow in St. Joseph Cemetery in Norwich.